For more control over which posts can be viewed by parents and when, learn how to enable and disable staff-only posts. From the brightwheel mobile app, tap the three lines to open the main menu. 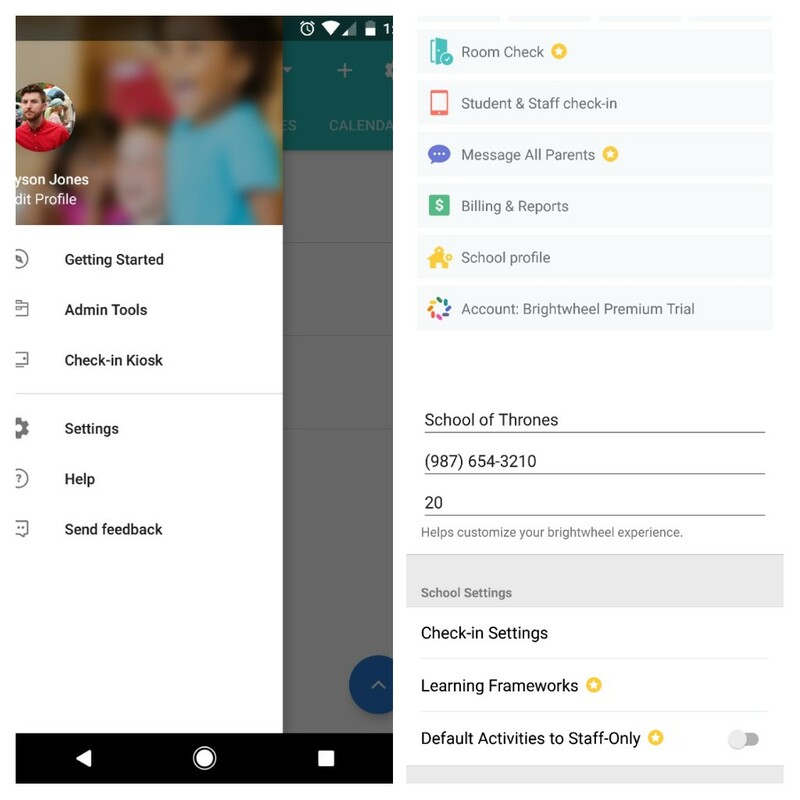 Choose Admin Tools and then School Profile. Toggle the Default Activities to Staff-Only switch to turn this feature on or off. Administrators will need to approve any staff only post that they wish to share with parents. Here's how.